Donald Burke is a trial and appellate litigator. He has represented companies and individuals in civil and criminal cases throughout the country, as well as in investigations by the Department of Justice and other federal agencies. Donald has briefed cases for parties and amici curiae in federal and state appellate courts, and in the Supreme Court of the United States. These cases have involved a variety of issues, including federal criminal law, partnership tax controversies, drug patents, environmental disputes, and the False Claims Act. Donald has also represented corporate and individual clients in proceedings before the suspension and debarment authorities of various federal agencies, including the Environmental Protection Agency and the Department of the Navy. 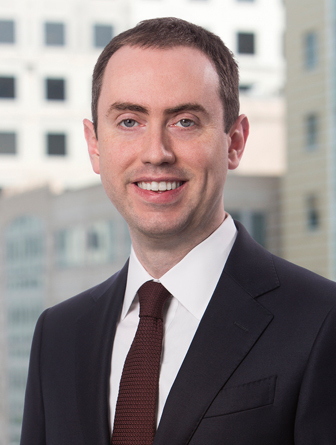 Donald joined the firm in 2010, after serving as a law clerk to Judge Raymond M. Kethledge of the United States Court of Appeals for the Sixth Circuit. From 2011-2012, he served as a law clerk to Justice Antonin Scalia of the Supreme Court of the United States. Representing a leading software provider in a suit alleging various business torts in connection with provision of cloud-based services. Representing a health-care executive in post-verdict proceedings and on appeal following criminal conviction. Representing major accounting firm in investigations by the PCAOB. Representing a major offshore drilling contractor in suspension and debarment proceedings before the Environmental Protection Agency. Briefing successful appeal on behalf of a major bank in suit alleging liability under the California Hazardous Substance Account Act. The trial court’s grant of summary judgment was affirmed by the California Court of Appeal. Representing investor in appeal of nine-figure federal partnership tax dispute. Advising major investment fund on constitutional and administrative-law issues related to Fannie Mae and Freddie Mac conservatorship.